Yesterday morning after our team meeting was spent on the move. Nono and I headed out to tackle as many items on our to-do list for the BONASO Annual General Meeting as possible. Time is quickly passing and there is so much to do. Nono is my miracle. She knows the media and she can get the entry into government that I am use to doing back home in Canada. Proof of her exceptional powers are in the picture above which I had to take without anyone seeing me do it. We were parked in the Ministerial Parking lot at the Government Enclave during the President’s State of Nation Address. Cheeky aren’t we? 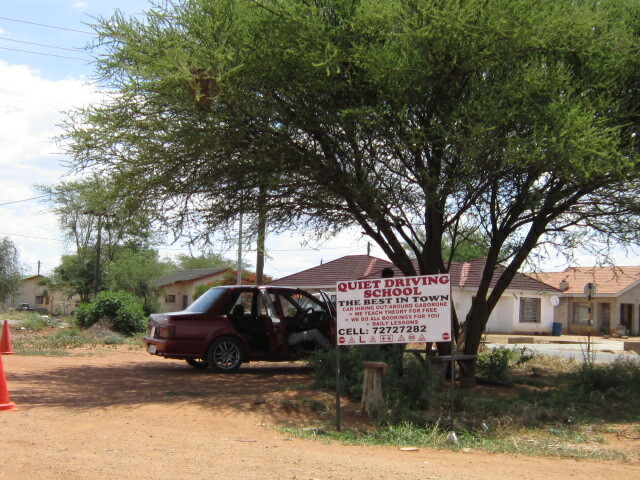 This parking lot is definitely not open to the commoner, yet Nono was able to drive right in and park so that we could gain access to the Minister of Health, HIV/AIDS and Poverty, Minister Dr Gloria Somolokae. There were at least 8 police officers just to my right when I took this photo from the car. 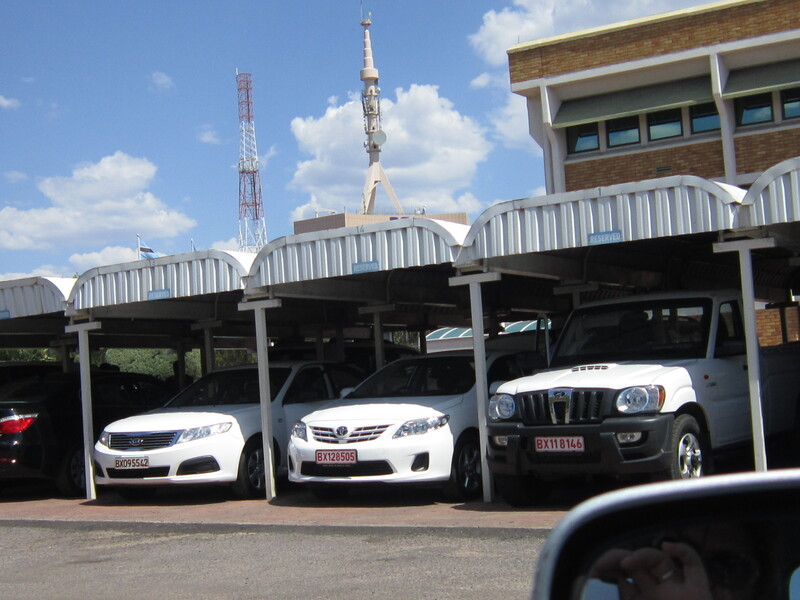 And as the picture shows the Minister’s vehicles are lined up just waiting for them to emerge and be whisked away. Just like Parliament Hill except the majority of the Minister’s cars here are white, not black. I could never take lessons here!!!!! Previous Article How I spent the weekend! LOL… I love it! It gave me a case of the giggles! Were you able to speak to the Minister? We don’t hear much about HIV/AIDS in Canada except for improvements in medications. People who are diagnoised can lives for years if they seek early treatment. Is one of your objectives to bring these new treatments to Africa? glad you giggled too! And yes, not only did we speak with the Minister, but she is coming to provide the opening speech at our AGM. Now everyone else wants to come. As for your question about the treatments – we are just trying to ensure that there is a coordinated and targeted approach and policy for providing HIV/AIDS treatments. Our primary focus is ensuring access for those who need it, where they need it. There is a huge urban and rural divide here and BONASO is committed to ensuring services for all.